A common question that most deck owners ask is which sealer is best? Regrettably, there is not a one fits all type of deck sealer. There are certainly some sealers that are better than others but it really depends on your deck and your area's climate. A deck sealer that performs well in one part of the country may not perform as well in another area. Some state's VOC laws also prohibit the use of certain deck sealers while in other states it may be prohibited. To understand the importance of finding the best deck sealer for your situation you must first understand what happens to wood that is not protected. Water is able to penetrate and causes the wood to swell. The day's heat then dries the wood causing it to shrink. This expanding and contracting cycle begins to crack and split the wood over time. Moisture causes mold, mildew, and algae which lead to rot and wood decay. The sun's harmful U.V. rays damage the unprotected wood fibers drying them out and causing the deck to turn gray. High foot traffic from people or pets can wear out wood surfaces quickly that are not sealed. It is evident that moisture, mold, mildew, traffic, and U.V. rays are all harmful to exposed wood. Applying this knowledge to your area and your particular situation can help you pinpoint the major concerns for your deck's integrity and in turn help you find the best deck sealer. Like mentioned, there are many quality brands of deck sealers that can provide water repellency, sun protection, prohibit mold and mildew, and give lasting results. Once you have decided what type of protection your deck needs you should begin to shop in the right places. Reputable dealers that specialize in deck sealers are your best bet. You want to avoid shopping at the big box stores. Though they may carry a few of the name brand sealers, they are cheaper watered down formulas specially designed for selling in high quantities at lower prices. Most of them are not the same quality formulas that the sealer company may be known for. The "best deck sealer" is not the same for all deck owners so don't be tricked into thinking there is one that outlasts all others. Your deck and its environment play a large role in finding the deck sealer best for your situation. 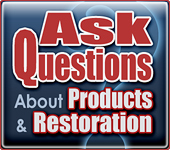 Find a quality sealer store or dealer and read reviews that highlight the type of wood protection you need that's going to give you the best results. I have an old deck that has been added to several times over the years repurposing wood left over from others various remodeling projects. None of the wood is less than ten years old. We are about to replace several of the oldest boards and then we want to clean and reseal the entire deck...and attached playscape. A long section of the deck that is under the north facing eve of our house is always in shade and tends to have mold or mildew issues by the end of every winter. I prefer the natural wood colors, but would like to know if there is one type of sealant that would be better for restoring/preserving all the various types and ages of decking? We no longer entertain other than our young grandsons, so safety from splinters, nails and screws and dangerous chemicals are the main concerns. Can it be sealed without staining it? No. You need stain or color in your coating for UV protection. Clear sealers will gray in months. Is grey stain available? I prefer the natural grey shade. Is there mill glaze on the wood surface? If so you will need to clean and brighten the wood for prep. A hardwood stain would be better. Try the Defy Hardwood stain or Ipe Oil. I've gotten a great deal on a lot of Rockwood thermally treated lumber for our deck renovation. It's a high density product, can be stained immediately upon installation. Should I look for a product that would be used on hardwoods? What's your thought about best choice? Karin, look at the Armstrong Clark stain in the Amber color. I will get a new large Cedar Deck installed - what is the best long lasting stain that I could use to keep the beauty of the Cedar. I live at the West Coast very close to the water. That would work but I would also consider the TWP 1500 or the Armstrong Clark stain. I would look at the Armstrong Clark in the Mahogany ([url]http://www.opwdecks.com/armstrong-clark-stain.htm[/url]) color for the exotic hardwood deck. I just finished cleaning a Brazilian hardwood deck. My customer usually restains the deck with messsmers Natural deck stain. However The wood is so Hard that it does not soak up the the stain. It just sits on top and is easily removed. When the deck is wet it is beautiful and the customer would like to get that wet look and keep it. Is there any product that can be used. They understand it will have to be kept up with. ANy info would be appreciated.